Of all the Costa Rica property for sale – and there is a huge amount available – why did we choose this location? The reasons really reduce down to a few important ones. Very likely you share the same concerns, and if so these criteria will be important to you too. • distance from important facilities. I’m talking about shopping malls, hospitals, the international airport, cinemas, courier services, government offices and the like. This a prosaic but practical little matter. We’ve seen people living in the jungle of the Osa Peninsula afflicted by a medical emergency and looking a difficult 5 hour travel challenge to the nearest medical facility that could deal with the problem. And on the other hand we’ve seen a heart attack victim, after a 40 minute ambulance ride, reach the largest private hospital (CIMA) and undergo bypass surgery (successfully! )within half an hour of arrival. Well, OK, it doesn’t always have to be as serious as that. But what if you really need that special Italian parmesan cheese, just got to have it, and are faced with that same 5 hour trip for simple delicatessen shopping? Or maybe you want to go to a concert at the National Theater in San José? Two days travel and a hotel for a night? Forget it! The Central Valley towns surrounding San José are where you find those things, and pretty much nowhere else. So while there are beautiful mountain properties further away the distance factor meant they were left out of our search. We also like to travel, which means a reasonable journey to the international airport from where we live. At time of writing this costs us $26 one way by taxi and lasts between 50 minutes and hour and a bit, depending on the time of day. 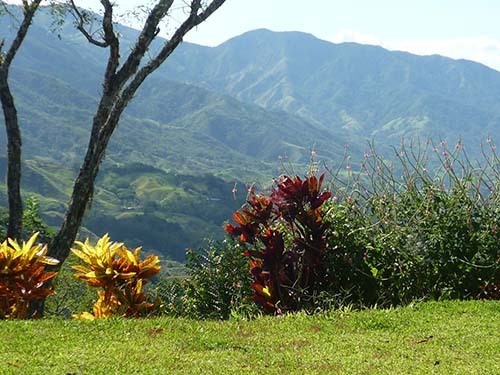 We have friends who live in beautiful pristine mountain terrain in the Chirripo area near San Isidro de General. Coming and going, this generally means an overnight stay somewhere. This is something we personally prefer to avoid. A mountain location gives you a temperate climate to live in. This is a tropical zone. The tropics are hot and buggy. Very simply put, the higher up you go the cooler it gets. At mountain elevations there are no heating and air conditioning costs to deal with. This will become more important as energy costs increase and peak oil and carbon tax effects are felt. (Most of Costa Rica’s power is hydroelectric). Year round you have spring time temperatures. In fact one gets so used to this that a few degrees temperature variation now feels like a big deal. Many people arrive in Costa Rica and immediately buy property at the beach. A wonderful dream come true! But after about a year of living there they decide to sell and move inland to the mountains. We’ve witnessed this on a number of occasions. Why? Too hot, too buggy, too isolated, no facilities. Again, a great place to visit, but not to live. So unless you a serious surfer, deep sea fisher, scuba diver or something related, and just know it’s for you, try renting there first and see how well you adapt to the conditions. • We wanted to be in the countryside. This is clearly not everyone’s desire. But if city living is what you like, then quite frankly San José is not an attractive city to live in. Nature is really what Costa Rica is all about. It is stunning, dramatic, beautiful, abundant. In fact, this point is so significant that I would go so far as to say that if nature is not all that important to you, then Costa Rica is probably not for you. There are distinct negatives to living here, and for us it is largely the simple living in nature which compensates for those negatives. 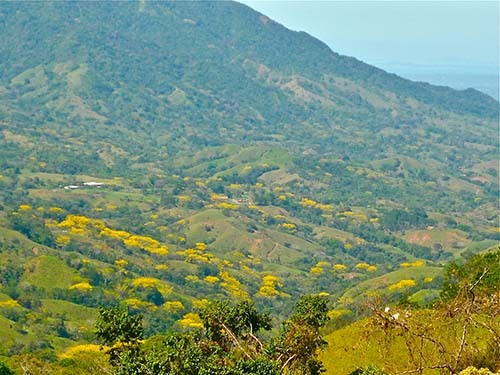 If stunning vistas, pure prana, growing things, sun and rain, earth and water calm your mind and ease your spirit, then Costa Rica has it for you. So we absolutely did not want to be living cheek by jowl in some suburban enclave. Rural, with a little elbow room, and preferably with some rainforest nearby, a little touch of genuine wilderness. But not too much! This may seem like ‘green’ heresy to some, but living directly in a rainforest is tough. A tropical rainforest is an interesting place to visit, but you wouldn’t want to live there! At least, we wouldn’t! The isolation and sheer intensity of the surrounding nature lie well outside our comfort zone. As with other countries, Costa Rica has experienced the polarization of wealth leading to social friction and increasing levels of crime. Added to this is the strange legal system in which theft under $10,000 is considered petty and not worth prosecuting, and a police force unable to deal with the events taking place. Trust in Allah, but tether your own camel. In our former (very isolated) mountain residence in the coffee fields we were robbed three times while away from the house. This only stopped after we employed a full-time guard. On a yearly basis the cost of the guard was less than that of replacing all the stolen items! Not to mention avoiding the emotional trauma. Ultimately, this is the best way of protecting your property while you’re not there. Now, having said that, the high density living areas in the Central Valley are where most of the crime takes place. Choosing a rural mountain community to live reduces your exposure to crime, especially if there are strong family bonds connecting the people nearby. You may still get theft, but it opportunistic rather than as planned acts of violence. 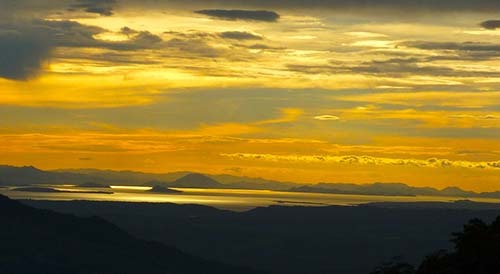 Beach real estate in Costa Rica is expensive relative to mountain properties. The real estate boom in Costa Rica continues, with prices along the coastal regions at a premium compared to the mountain areas.